This is my creation of the week made with the iPad camera and sketchbookx app. I saw this group of ducks in the ice storm the other day and it reminded me of a community and how nicely they got along despite some of them not matching the rest. 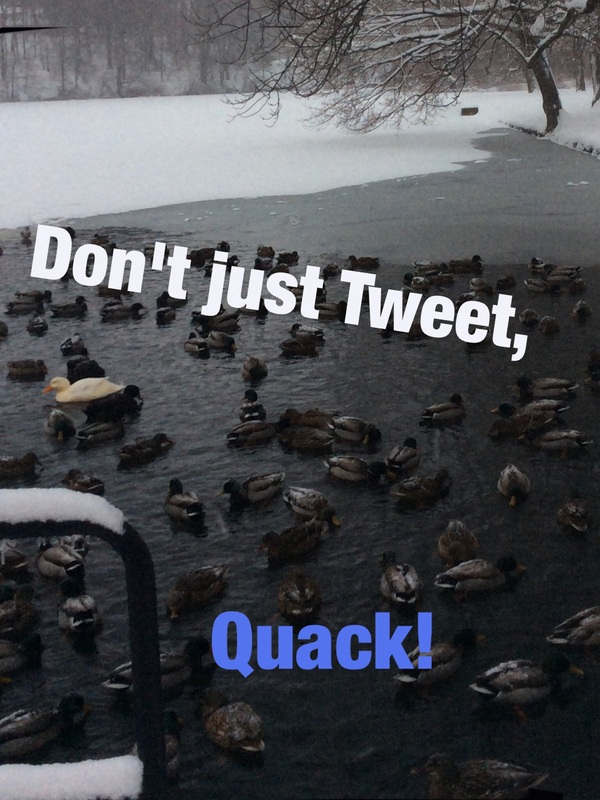 The caption was inspired by the thinking that one should not just use social media in the way it has been used all along but to find new ways to apply it to our community. 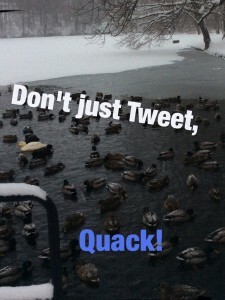 Why not try quacking? Jay Loomis – iPad, Yes! I’ve been using an iPad to take notes and keep my life as paper free as possible for a couple years. I’ve used several different note taking apps together with .pdf readers, which has made it possible for me to avoid a lot of paper, and I can access all my notes whenever I have my iPad. It’s really practical and useful in so many different ways, from brousing, to writing papers, creating music, editing vids, blogging, etc. I use a Zagg keyboard which makes it easy to type (because I can’t type effectively on a touch screen). 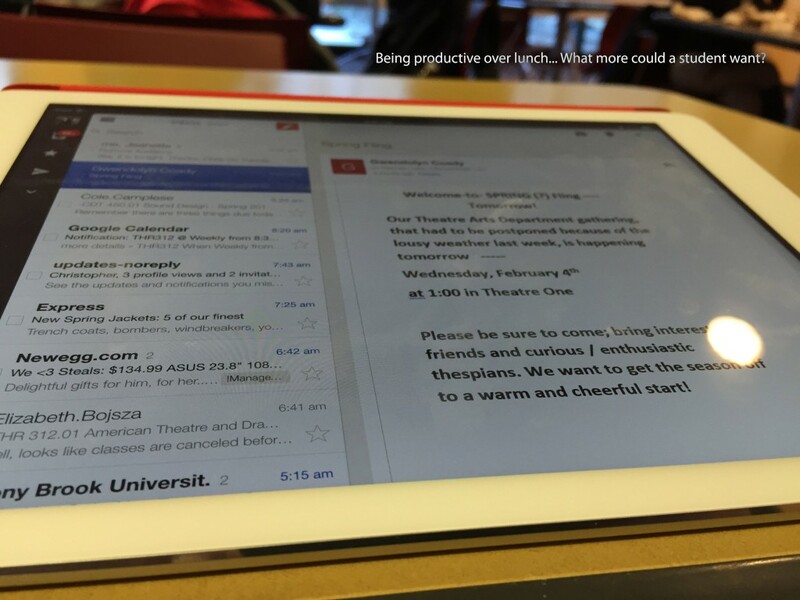 I think of my iPad as a mini computer with a touch screen – a much appreciated companion! I first started using Paper 53 to take notes, and GoodReader to read .pdfs. For the past few semesters I’ve been using Good Notes to do both. I’m looking forward to checking out Evernote to see if it will even more convenient somehow – especially for scanning handwrittten notes, that sounds promising. My main gripe about the iPad is: NO USB PORT. I understand that this is part of their business model, and it helps Apple make more money, but a USB would be really useful for extra storage and MIDI hook ups. There are adaptors, but a dedicated USB would be great – especially because my iPad only has 16G of storage, so I have to consolodate space on a regular basis. For this weeks media create I played around with a music production app on the iPad called Auxy. The app has 4 different sections where you can change the sounds of the drum, bass, and 2 synths. The app was relatively easy and fun to use and very user-friendly. Auxy also allows the user to adjust the tempo, swing and major/minor aspects of the song. The only trouble I ran into when posting this was saving the audio directly to the iPad. Auxy allows a user to export the recording in a number of ways including emailing, itunes, and using apps like AudioCopy or Airdrop and DropBox. I tried emailing the sound file to myself but found I was unable to save it directly from my email to my iPad. I also tried installing AudioCopy but could not figure out how to use it. I eventually gave up and ended up posting this from a sinc site since I couldn’t upload the file directly from the iPad. Being new to iProducts, I decided to start by switching off a few unnecessary features and and installing a bunch of Google apps, and other apps, that I have installed on my android device. This week’s goal was to waste as little time as possible trying to figure things out. Everything seems to be functioning well. The iPad is speeds, responsive, and pretty to look at. Also, I’m finding that screen real estate allows me to be extremely comfortable and productive while using the apps. I recently discovered that I can’t share data between apps as easily as I can on android, which is terribly upsetting, but this is something that I will try to look past for now. Also, typing is not as easy, or accurate, without a keyboard. I’m sure that my typing will improve on the iPad, but slamming my fingers against glass is completely undesirable when I have a mechanical keyboard at my disposal. 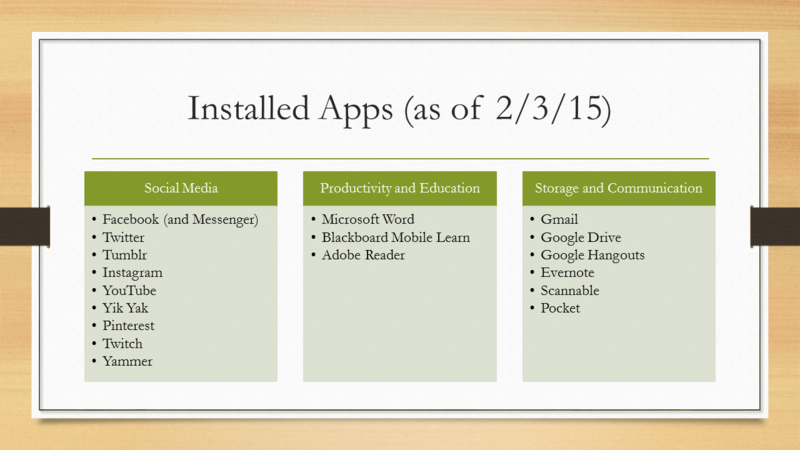 Google Drive, Kindle, Chrome, and Spotify are at the top of the most frequently used app list. I seem spend little time using things that are distinctly “iPad”. I am actively trying to use my desktop less, now that I have this device, and this is a drop in replacement for most basic assignments / tasks related to my assignments. With that being said, I still need to use my desktop regularly, but I do enjoy being productive on the go. Next week, I will try to do the majority of my computing on my iPad, during down time between classes. I’d also like to try and record video a few times. 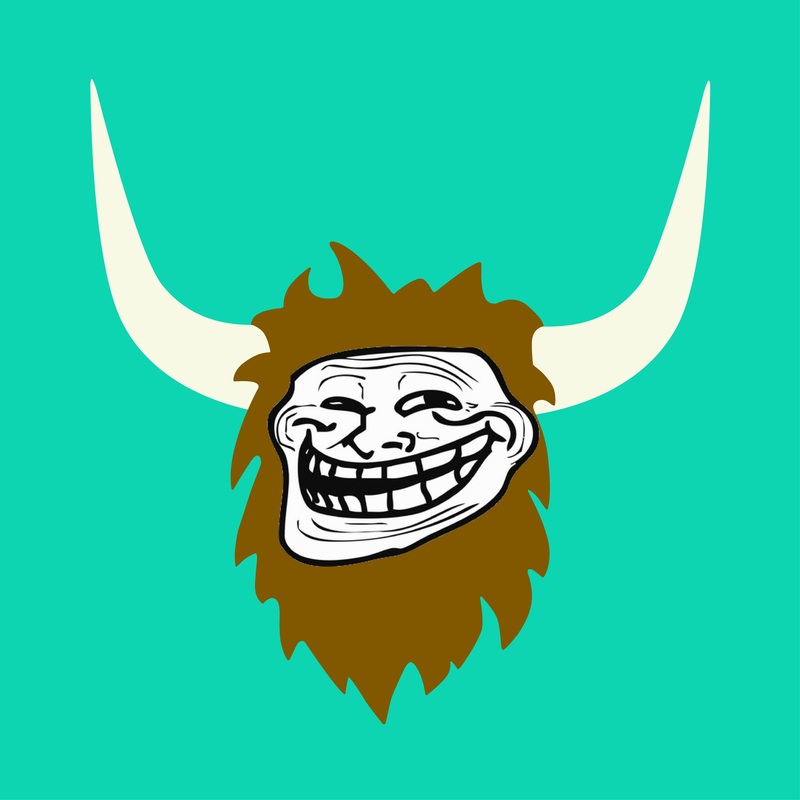 I was inspired to make this image after learning about the recent events at Colgate University involving Yik Yak. I used the app PhotoFusion for iPad to juxtapose the troll face on the Yik Yak logo. Picture It. London, 1963. You see an iPad lying around…what do you think it is? Is it a one-page book? A secret government spy gadget? Or perhaps something to put under wibbly-wobbly table leg stuff? 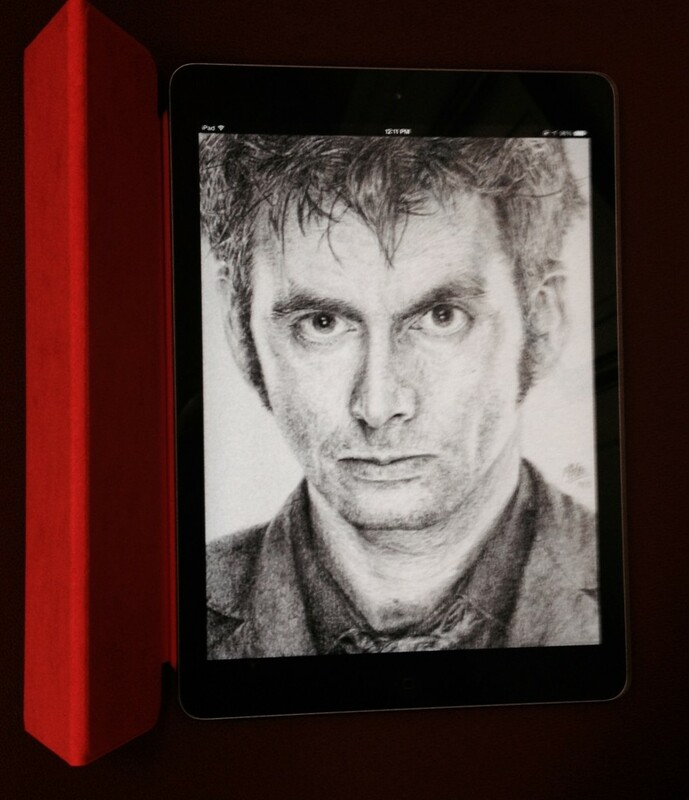 Maybe it’s an Etch-a-Sketch from Gallifrey? New technology is always happening. It’s up to us to think about things differently. In 1963, Londoners could have just asked for a faster Etch-a-Sketch, but someone imagined great worlds, great characters, and great technology. Each of these have left a legacy in the sci-fi world, and Doctor Who has a following like never before. I happen to watch the series on this Etch-a-Sketch. When we first got our iPads I wasn’t that excited about it just because I already owned a tablet and had only used it at most 3-4 times in the past year. I found a tablet to be unnecessary when I already had an iPhone and MacBook laptop. Since we got the iPads on Thursday I decided to try to go without using a notebook in my classes this semester. Since the majority of my classes are computer based I don’t think it should be too difficult. I usually take notes in a notebook because my laptop is too much of a distraction and I always find myself ending up on Facebook or something else I shouldn’t be doing in class. I’ve downloaded a few apps for listening and making music, to-do lists, Evernote, scannable, yammer, yik yak, and a few other apps. I haven’t downloaded Facebook yet because I’m afraid I won’t be as productive if I have it downloaded. I’m currently typing this post on my iPad which is definitely less efficient than if I had just used my laptop keyboard. I need to get used to typing on this awkward keyboard because I feel like I’m a much faster typer when using a physical keyboard. It’s a lot easier to just stick my iPad in my bag before running to class instead of lugging around a heavy MacBook and its charger. I’ve had my laptop since graduating high school in 2011 so the battery can’t hold a charge for very long. So far I am very impressed with the battery life of the iPad and think I could rely on it to last me throughout the day without having to charge it. I’ve played around with a few music production apps so far like Beatwave, Auxy, edjing and a few others. I had a lot of fun with Auxy making different songs with my roommate. The app was simple to use and made it easy to export your songs from the app. I haven’t taken my iPad to class yet but I plan on using Evernote to take notes in some of my classes tomorrow. I hope I’m able to organize my notes and write them as well as I would in a physical notebook. I downloaded Instagram and made a new account for our class but have yet to post anything. The iPad is an awkward size for taking photos so I will have to experiment with that. I’m finding most things pretty easy to accomplish with the iPad. Writing this post is going a lot faster than I expected but typing still feels pretty weird. I think I will probably always prefer a physical keyboard but Im sure over the next few weeks that I will get used to typing on the tablet. One thing I noticed about the iPad that has been bothering me is that it locks automatically and requires a password to be entered to use it. I tried to change it in settings only to discover that this setting couldn’t be changed to allow even a minute before automatically locking. I realized that this is probably a security measure in case a student loses their iPad and doesn’t have their information and files accessed by someone else. Navigating the blog site on Safari has been a little irritating but I think that’s mostly because I haven’t really become familiar with the blog site yet. I was trying to view other people’s posts other than the syllabus and assignments that Cole had posted but it took me a while of clicking around to find them. The iPad has changed my workflow a bit by making it easier for me to focus on one task at a time because I don’t find myself constantly switching from one tab to the next. If I was using my laptop to write this post I would be checking Facebook, Buzzfeed or Reddit every few minutes. The most distracting thing I’ve done while writing this post is changing the song on SoundCloud or responding to a text message. I usually spend more time choosing a song to listen to than I do actually focusing on my homework or assignments. I came to class this morning to find that my professor didn’t show up so instead of leaving I sat in the lobby writing this post on my iPad. If I had my laptop I would’ve just spent this free time on social media or checking my email. I think the iPad will make me more productive when I have a free hour or two in between my classes. Next week I want to try taking and editing photos with the ipad, possibly editing videos, posting to Instagram, Twitter, and taking and organizing class notes. I’d like to work on making more music and seeing which app is most user-friendly. Granted! I do remember getting my first (and only) iPod. It was a 2nd generation, 2gb iPod nano, and it served me well until the battery went out. Since then, I have “inherited” an older iPhone 4s from my 15-year-old niece since paying for college and food is more important than updating my phone (thanks, sis). I’m also a music major with a music technology minor–it’s safe to say that I’ve used a Mac plenty of times and enjoy it. So now I am a user of an older Android phone, older iPhone, Nexus 7 (2013 Android Tablet), and an iPad Air. With all of this, I have found many pros and cons to iOS and the iPad Air in particular. Some PROS are: 1) The Screen. It’s gorgeous! 2) Quick and seemingly glitch-less User Interface. 3) 4-finger gesture commands to open and close “task manager.” 4) Fairly good speakers (surprisingly good actually when compared with my Nexus 7). Some things that DO FRUSTRATE me a little is the absence of an app drawer. As soon as I downloaded all my apps I had so many screens that I had to combine similar apps into their own folders. I would have done this anyway with some apps, but some that are pre-installed I never want to see. I also wonder if I will ever be able to force myself to type more than a paragraph or two using the touch screen. This isn’t an Apple-native issue; simply, in an educational or truly practical situation, a separate physical keyboard (or combined keyboard case) would be an essential purchase. I’ve installed apps like Microsoft Word, and I wouldn’t have an issue with writing a paper on it if I had a separate keyboard. The screen is large enough to see for a decent amount of time. Using “swipe” would help, but I currently don’t want to pay for something that’s free on Android! Since receiving the iPad, it has not left my side. Previously, I always had my Nexus, so this isn’t much of a change (except the size is a little more difficult to deal with, but that is a minute issue because I often complain that the Nexus 7 isn’t big enough to do what I want to do!) I have done everything from going off the social media deep-end to taking notes, and listening to music to pass the time. I have tweeted, browsed YouTube, watched gaming streams on Twitch, explored Etsy, and have sent lots of emails. During this time I have found the iPad to be a great device for everything. Although it’s possibly due to the nature of this course, I have spent more time online since receiving the iPad, but it’s not all been for leisure. I have explored the blog sites, updated my ePortfolio, and read countless articles and stories related to identity and education. As a side note here, and hopefully someone could help in the comment section below, I would love a “back” button. Of course there is one on Android, and perhaps iOS has the ability, and I simply do not know the gestural command? I miss this capability dearly, and would love to be able to just go back in an app (not saying the arrow at the top left in some apps). The single dedicated button is simple, but sometimes I want a little more. The iPad itself is entirely new to me so I certainly haven’t had time to really explore all the apps that were pre-loaded (or that I have even downloaded). 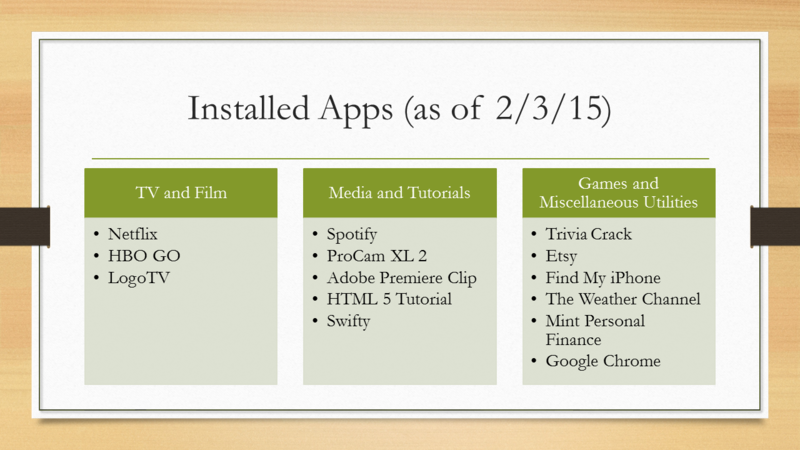 I am excited to try out the mobile versions of GarageBand, iMovie, and Adobe Premiere Clip. I’m curious to see with what ease and how streamlined I can shoot, score, edit, and produce a video. As you can see below, I have had my hands full with installing and using many apps already. Part of this was simply copying what I already used on my other devices, but some was completely new. I’m excited to see how this semester unfolds with the iPad. I’m curious to see if it changes how I experience school, work, and life in general. Will I become more productive? Or perhaps more distracted? Time will only tell, but I’ll be sure to keep you updated. Hi all … I typically don’t use Blackboard or other course management tools like it when I teach, but I wanted to ask you — would you prefer that I do keep some information there as well? I am thinking at the moment of using it for announcements, due dates on assignments, and for grades. Anything else? I want all the writing to be public, so I will not have you put assignments there, but if there are interesting things you’ve seen other faculty do with Bb, please share those thoughts in the comments below! Oh, and by the way … Bb Mobile Learn isn’t all that bad for staying connected on the go. This app idea is inspired by the podcast about the racism that was revealed on the Colgate campus through the app YikYak. After listening to this disturbing story, I tried to imagine what kind of app could be useful for improving race relations on college campuses. I’m convinced that one of the main causes of racism is ignorance, fueled and perpetuated by segregation. I’m sure there are plenty of college students who are interested in getting to know people who are different from themselves, but they don’t know where to find opportunities to interact with a variety of people from different ethnicities and backgrounds. My solution is to create a social networking app that makes it easy for people from different backgrounds to meet. For now, I’m calling this app InteGreat. Hopefully it will help people from different backgrounds get to know each other, which will erase ignorance and diminish the segregation that perpetuates racial tensions that exist on college campuses today. Basically, InteGreat is a social media platform focused on helping people from different backgrounds get together and hang out. 1 – EVENTS – People from different clubs and groups on campuses post events that are open to people outside their group. 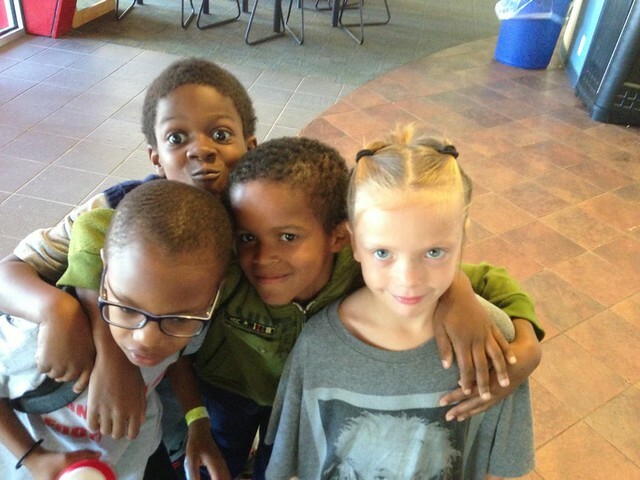 2 – NEWSFEED – People post stories, articles, art, memes, WHATEVER, as long as it is related to the theme of integration and improving race relations. 3 – CHAT / MESSAGING – People get to know each other.